Ohaus T32XW indicator with a IP66/NEMA4X stainless steel housing. 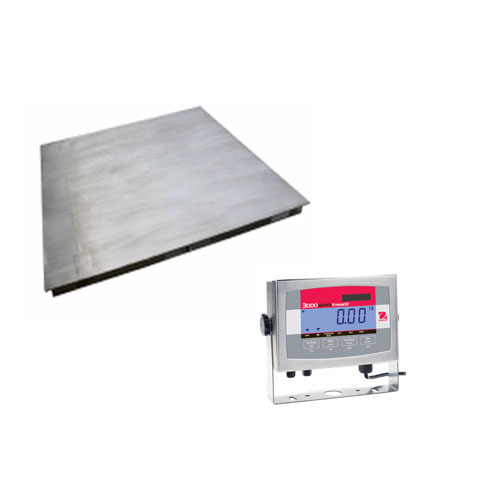 Large, backlit LCD display quickly displays results in a choice of multiple weighing units (lb, oz, combined lb:oz, kg or g). If the EC Verification option is selected then a Stainless Steel T Scale indicator will be used.